Adele, love the writing in this piece, such good flow, in the zone! OILS? Really??? A top level food group now? I wonder what the new MyPlate is going to look like? Where will they put the oils? Here, just have a cup of oil along with your glass of milk. So my french fries drenched in oils are OK? 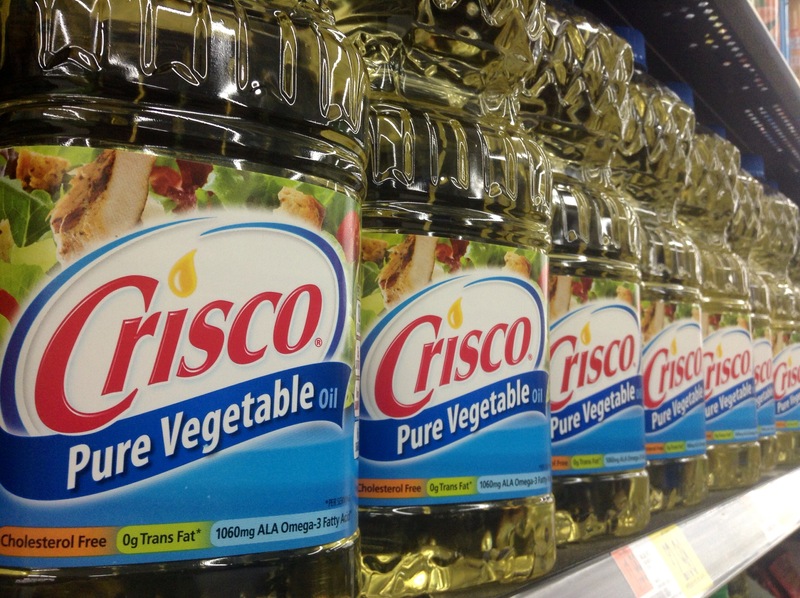 That’s some damn good lobbying by the vegetable oil industry. Yes, and interestingly enough, there has not been a lot of play in the media about this new food grouping. I think journalists must realize that they are caught between endorsing the mainstream view, which means endorsing a highly processed food during a time of “real food” rhetoric, and suggesting that “real food” is better, and then having to admit that animal fat is a lot “realer” than veg oil. So they just don’t say anything. And someone commenting made a good point about changing intakes over the “lifespan”, that is, that kids don’t eat as much added sugar as young adults, but that later in life people get concerned about their health cut back (or the survivors are those who’ve eaten less all along). This is the trend for all “unhealthy” items, and the reverse is true for “healthy” ones like nuts. “across the lifespan” saturated fat intakes adhere very closely to the recommended 10%. Yet – get this – solid fat intakes are often “excessive”. What does this mean? That “solid fats” are not primarily sources of saturated fat. They are sources of MUFA and PUFA (and trans fats) instead. Therefore, Americans don’t eat enough oil? Give me a break. Yes, excellent post & thanks for the shout out. Everyone should go read it. I really like the lifespan perspective which points out that indeed, mothers do try to make their kids “eat healthy” (and apparently, teens respond as they always have to this sort of control). It also adds fuel to the argument, as if we didn’t have enough, that observational studies of adults are warped by “healthy adherer” behavior. BTW, the info on sat fat as % of energy/day is here: http://health.gov/dietaryguidelines/DGAC-usual0710_set1b-508c.pdf. George is right. Sat fat intakes adhere very closely to the recommended 10%. Is there really a 20% lower limit to oils? It’s 25% now, up from 20%. This is a pretty meaningless change in many regards. It does mean that extremely low-oil diets, like the Dean Ornish kind are even farther out of line with the Guidelines than they were before. On the other hand, the one sliver of meaning that it does have is to signal to food manufacturers that they are free to add MORE processed, refined oils to the American food supply. Note that the recommended omega 6:3 ratio is 10 or more. That’ll be a relief to the soy and corn oil industry. I went through some depression when John Stewart’s sarcasm went off the air and Stephen Colbert was forced to tone his way down. But now, I can get great satire and nutritional news from Adele. Thanks. BTW, I’ve written a couple of short “starch-is-sugar-too” rants on different news articles. I’m now happily and patiently waiting to read your rant. Oh, I’ve also listened to that “snarky person’s” satirize the DGAC many times. It helps with depression and bad news like bacon can give you cancer like cigarettes. Though I must give Stephen an honorable mention on smoking bacon….lol. Speaking of sugar, I thought Zoe Harcombe had a good post where she compared the amount of sugar in whole fruit to a chocolate bar. Based on her analysis, a chocolate bar is healthier than an apple. Sadly, I know of too many people who gained weight and lost control of their blood sugars with a high fruit diet. Fruit–especially as it is bred these days–is not for everyone. Much more than previous guidelines, this bunch don’t mean what they say and don’t say what they mean. Like a kid that’s been caught lying, the language twists every which way to try to avoid the kind of frank statement that will allow outsiders to pin down the meaning. 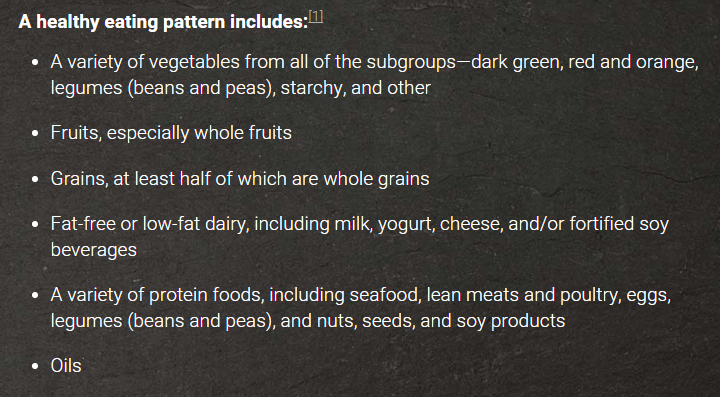 There’s a line that can be interpreted as meaning that a “healthy diet pattern” can be as low as 130g carb. But you have to look up the reference to get that figure – the guidelines themselves want to sty ambiguous. In their oily and sticky-sweet deceptiveness, inconsistency, and inappropriateness to the questions in hand (e.g. the discussion of deficiencies) these have to be the worst guidelines for anything ever. I have to say, that as much as they stink in other ways, rhetorically, these Guidelines are a lot of fun. I’ll never run out of things to write about! The Physicians Committee for Responsible Medicine is suing because they still believe that ANY dietary cholesterol “is harming patients”. Never mind the evidence. And it’s not just the fact that there’s so little evidence to support such a claim that belies the vegan agenda, it’s that average cholesterol intake in America has not been ABOVE 300 mg since we started measuring it in 1989. That means it is all about the rhetoric. A numerical limit forces the use of an “eggs are bad” message bc one egg has about 2/3 that amount. I long as I can recall (50-60 years), we’ve had idiots in charge. No different today. I grew up eating liver and onions and all the fat the meat had to offer. We’re all different, but this works for me; I’m healthy as a horse. Does anybody actually take the guidelines seriously? Would be nice to have a taxpayer-funded nutrition lab. Many, many people take them seriously (even have to, since these influence food given in schools and other locations). I took them seriously for many year, and eschewed cheese and all fat for many years. Yeah, my mother, who was born in 1919, used to love liver and onions. That is until the Dietary Guidelines took those away from her. They also stole her bacon and eggs. Then, she slowly declined with heart, sleep and mental problems. She died at the early age of 85. Fortunately for me, I like what she liked and I”m back to her old ways. Sadly, many people have most or all of their meals circumscribed by recommendations in the Guidelines: poor mothers and children (WIC), school kids, prisoners, veterans in any Veteran Hospital. But the problem reaches far beyond any given individual making a “choice” about what to eat. The Guidelines affect what products are developed and how they are labeled, what sort of nutrition research gets done, how doctors and dietitians are educated, how consumers are educated (via healthcare professionals as well as food companies). In essence, they shape how our food system works. Adele, that’s an important point. Unfortunately, the Guidelines do matter and, sadly, they influence other countries who, on this issue, show the US far too much respect. I hope these will be the last guidelines issued. Unless a ground level revolution takes place, they will mean that Americans will continue to get fatter and sicker. How did we ever get to this situation? One where humanity can do such wonderful things, but where Dr Barnard says that we should eat zero cholesterol, and claims scientific support, and where others say cholesterol is fine and that carbohydrates are the problem. Every creature on the planet knows what to eat, and how much, except humans. How can public confusion ever be resolved when agendas are more important than evidence? There used to be something called the French paradox where a population ate a diet high in fat and saturated fat and yet had a very low rate of heart disease. How can this be possible if fat is harmful? Well, let’s call it a paradox and avoid questioning the theory. Maybe it’s red wine or mistresses. But what if the world is full of paradoxes? World Health Organisation figures show that it’s not just the French who won’t play nice. Many other countries show similar results, including Switzerland, Sweden, Norway, Holland, Belgium, Germany, Spain and Iceland. How many paradoxes does it take to expose a theory as nonsense? A fortune has been spent trying to prove this theory, but those cheese-eating surrender monkeys just won’t co-operate. Even more paradoxically countries with low saturated fat consumption have exceptionally high rates of heart disease. One example of many is Lithuania, whose population consumes half France’s level of saturated fat, yet has a rate of CHD nine times higher. The WHO figures in Europe heart disease show a clear relationship between higher saturated fat and lower rates of heart disease. As anyone in real science knows, when the facts don’t fit your theory, your theory is wrong. What part of this doesn’t Dr Barnard understand? The WHO figures include Eastern European populations who eat diets high in sunflower oil, low in animal fat, and have heart disease rates that are through the roof. However, these populations are not researched in any of the epidemiology that informs the DGAC process. 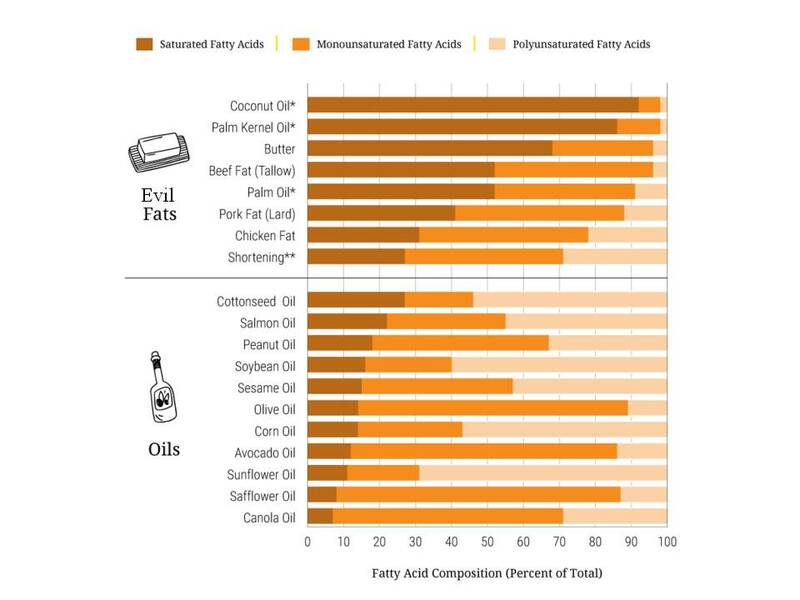 There are huge areas of the world that are outside DGAC epidemiology, where the conditions exist to shed light on the possible effects of DGAC recommendations regarding PUFA and SFA consumption. In recent reading (sometimes I have to pinch myself; it seems like a dream that I am “forced” to read for my exams all the stuff I love to read about), the author explain why trying to understand “nutrition guidance” can’t be limited to trying to understand “nutrition science”: “… various forms of dietary intervention had political, economic, and social as well as scientific motivation, and these motivations together helped to shape the direction and styles of research into nutrition and diet” (Kamminga & Cummingham, 1995, p.2). It’s not about nutrition and it’s not about science. Additionally, according to the International Journal of Epidemiology, 2015, 1614-1624, in Japanese men serum cholesterol levels have gone up 9% since 1980, while the CHD rate has dropped 27% (and stroke by 80%). With twice the smoking rate, the CHD rate is less than one third of ours. Both trends have been evident since the (infamous) Seven Countries Study in the 1960’s. But the guidelines folks aren’t interested the facts, unlike Sgt. Joe Friday. Any ole’ conjecture will do, as long as it fits their preconceived ideas. You’re so right; it is tragic for the poor, school children, prisoners and veterans, for everyone, really, who doesn’t have the means, knowledge, or interest in figuring it out for themselves. In California it is illegal to serve whole milk in schools, so they get awful-tasting, low-fat, CAFO milk, and most of it gets thrown away. The small silver lining is the broad and growing movement for real food, for pasture-based systems, for gardens. Most of the above, though, are trapped by circumstances in this bankrupt system. Academic institutions are compromised by the replacement of government funding with industry funding.